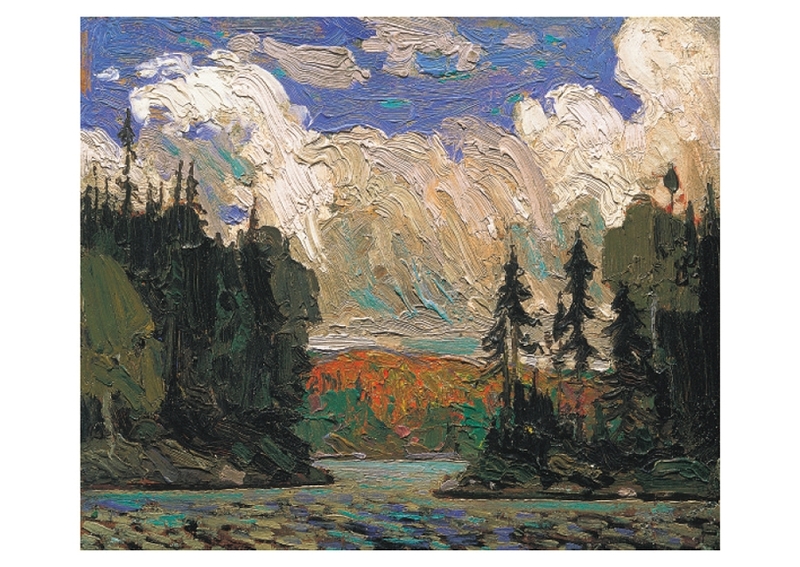 Black Spruce in Autumn, c. 1916, by Tom Thomson (Canadian, 1877–1917). Oil on panel. The McMichael Canadian Art Collection.